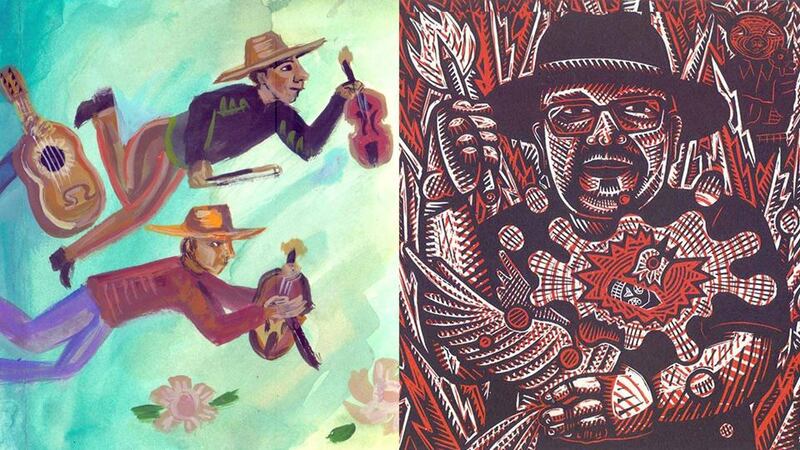 Teresa Irene will be showing recent painting inspired by the diversity of traditional mexican music. She is sought after in Mexico by a wide range of musicians from different regions to create posters, album covers, animation and set design. Recently, she was commissioned by Guillermo Velázquez to create art for the annual Festival de Huapango Arribeño. Alec’s recent series of prints is the fruit of a collaboration with Colombian musician Alejo Garcia. Each of the prints is a reflection on one of Alejo’s compositions from the upcoming album “Americanotl”. Varied themes include migration, Latin American history, relationships and mythology. In November he will join Alejo in Medellín, Colombia for the launch of “Americanotl”. Other work created since moving from Toronto to Mexico City in December 2016 will also be on display. We hope to see you at Artscape Young Place on Friday, Septermber 8. An unstructured studio drop-in where artists can meet, talk, brainstorm, share techniques, materials or ideas they are engaged with. This workshop is intended for beginners with little to no experience in calligraphy or those that are interested in learning a more structured approach to modern calligraphy. All the tools for this class will be provided and you will have plenty of resources for your take home practice! 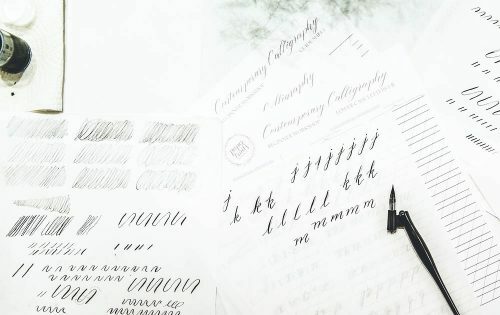 This class will cover: using a calligraphy pen and nibs, learning basic strokes, and the lowercase alphabet (you will also be provided with additional handouts of the uppercase letters). The class size is limited, so there will be a lot of time for individual instruction. 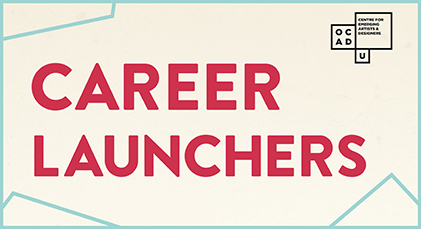 Artscape Youngplace and OCAD University’s Centre for Emerging Artists and Designers (CEAD) joined forces once again to offer the 3rd annual Artscape Youngplace Career Launcher Opportunity! Artscape Youngplace is a recurring partner working with OCAD’s career development department to help new graduates enter the professional realm after school. Congratulations to the 2016 recipient Sharene Shafie, a multi-talented artist and curator who is currently pursuing a BFA in the Criticism and Curatorial Practice program at OCAD University. Sharene has been awarded the opportunity to curate a group exhibition for select graduating OCAD U students from the Criticism and Curatorial Studies program. From this exhibition, Sharene along with a jury compromised of faculty and curatorial professionals will award one artist a solo show, set for 2017. Sharene has pursued multiple projects ranging from sculpture, installation and printmaking to participatory experiences. Her recent curatorial and artistic work has been concerned with narratives surrounding the multicultural experience in metropolitan cities such as Toronto. Click here to find out more! The group show is set for the 2016 summer months at Artscape Youngplace in the Hallway Galleries, beginning on June 27th. The solo show will follow in 2017 and will take place in one of our Flex Studio spaces, complimentary of Artscape Youngplace. Here at Artscape Youngplace, we highly value both the variety of artists that we come in contact with as well as the partnerships and collaborations that foster these connections. Thank you to CEAD and the students from OCAD U’s Criticism and Curatorial Practice program for making this opportunity possible! We cannot wait to see what is in store for both the group and solo shows. Disseminating work beyond the walls of the studio is integral to the development of an artist’s practice. Conversation fuels the creative process with a new energy that can only be attained when it is exposed to outside perspectives. After art school, the venues for these exercises in critique and discussion are few and far between. Those four-hour academic critiques we once struggled to focus through vanish, isolating us with our toils. And, for those who never had the privilege of an organized peer assessment, access to critical communities are even sparser. With CRIT AT THE HALLWAY GALLERIES, O’Born Contemporary has partnered with Artscape Youngplace to offer wall space to local artists for an opportunity to both rediscover the importance of peer evaluation and connect to the current creative community in the city. Participants will have the chance to present work for two weeks in the Hallway Galleries, and participate in a group event and receive feedback from many perspectives. For this CRIT AT THE HALLWAY GALLERIES, O’Born Contemporary and Artscape Youngplace will invite guest participants including artists, gallerists, curators, and writers to contribute to the conversation and enrich the experience for all. RSVP is required for participation. The first eight artists to confirm participation will be assigned exhibition space, and will receive 15 minutes of presentation and discussion for at least one work during the public CRIT. Any RSVPs received after the first eight will be offered a spot in a future CRIT AT THE HALLWAY GALLERIES. 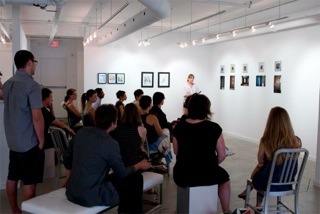 Whether presenting work or not, all artists are welcome to observe and contribute to the dialogue. The preparation of their works for installation and transport to Artscape Youngplace. Installation of their works on Monday, November 3 between 5 pm and 9 pm. Artists are allowed the option to self-install works at no charge following the Hallway Galleries’ installation guidelines. Artscape can also organize professional installation with secure installation hardware at an additional charge. Participation at the CRIT and Opening Reception, Wednesday, November 5, 6:30 pm and 9 pm. Removal of their works and hardware on Saturday, November 16, between 3 pm and 8 pm. Providing art work details for standardized exhibition signage by Monday, November 3 at 9 pm. The Hallway Galleries is an impressive public exhibition space located at Artscape Youngplace (180 Shaw Street) in West Queen West, one of Toronto’s most creative neighbourhoods and a major centre for contemporary art in Canada. 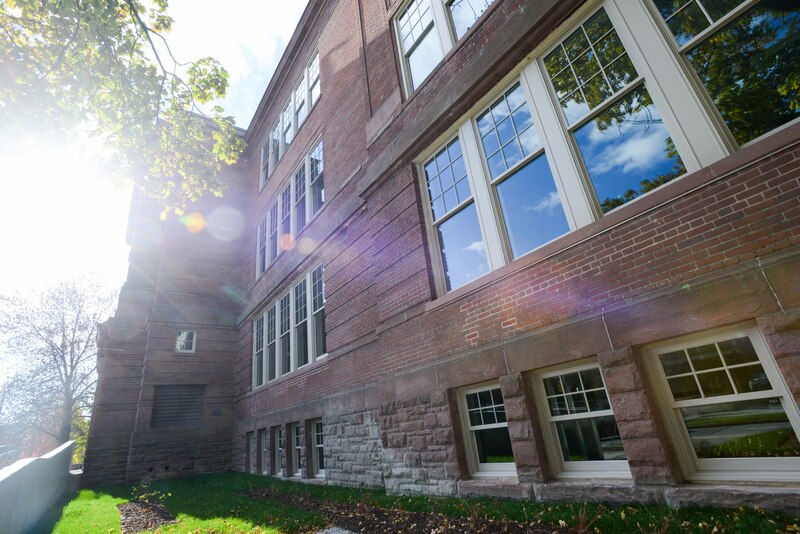 The building is open to the public daily and frequented by artists, cultural workers and the community. Spanning 9,350 sq.ft. of spectacular corridor space on three floors, the Hallway Galleries are ideal for a wide variety of art forms and curatorial projects. Hallways are 125’ in length with 14’ ceilings throughout and are equipped for visual art installation in a variety of media. First Floor: Four permanent vitrines (94 sq.ft. total) with depths ranging from 8”-18” and featuring internal lighting, security locks, cork-covered plywood mounting surfaces, and access to power. There is limited access to additional wall/floor space throughout the first floor and mezzanine. Third Floor: ~1,120 sq.ft. of reinforced gallery wall surface in 17 distinct areas, 8’ in height and ranging in length. Each area has adjustable full-spectrum lighting, access to power and is suitable for security installation hardware. Access to limited movable vitrines. Second Floor: ~1,080 sq.ft. of reinforced gallery wall surface in 16 distinct areas, 8’ in height and ranging in length. Each area has adjustable full-spectrum lighting, access to power and is suitable for security installation hardware. Access to limited movable vitrines. O’Born Contemporary is a commercial gallery dedicated to the exhibition and dissemination of recent works by living artists. We aim to present an exhibition program that is diverse in medium and aesthetic but consistently rich with critical merit. Our exhibitions and the works that comprise them are both intellectually engaging and alluring commercially, making them well-suited to a myriad of diverse collections. As gallerists and agents, we pride ourselves on our practice of fostering active relationships with our represented artists, thereby ensuring an authentic and sensitive understanding of the works we exhibit. By extension, we endeavour to maintain a contributing relationship with our local and international communities. This is achieved in part by hosting auxiliary programs including critiques, panel discussions, lectures and performances as well as participating in international events such as fairs and festivals. Engaging regularly in art happenings, we are well positioned to adapt to the fluidity of the art market without compromising the stability of vision upon which our nuanced approach to art is poised. Artscape Launchpad presents: The Creative Business Design Workshop, Saturday, July 5, 9:30 am – 5:30 pm at Artscape Youngplace. Got an idea for a business fuelled by your creative practice? Interested in commercializing a creative project? Want to stabilize or grow an existing creative business? This workshop will help you figure out the next step in getting your creative business ideas off the ground. No sterile business lectures, no suits, no 50-page business plans — just a bunch of creative people ready to take creative entrepreneurship seriously. The Creative Business Design Workshop was built specifically for the creative community. If you are a designer, filmmaker, performing artist, content producer, craftsperson, writer, musician, artist, or someone interested in creating a business fuelled by these practices, this workshop is for you. Do you have an idea for a small business or income-generating project? Do you have an existing creative business or income generating project? 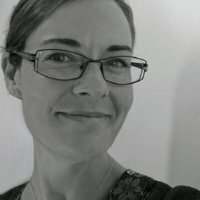 About the instructor: Allison Hillier has more than two decades’ experience in small business planning, development, marketing, managing and ownership across diverse fields such as arts, import-retail, gastronomy, and language and travel services. She currently works as a learning and development consultant and freelance instructional designer helping organizations build great training. The Creative Business Design Workshop is part of Artscape Launchpad’s pilot programming. Artscape Launchpad will be a new creative and cultural sector entrepreneurship centre connecting the creative community with the tools, knowledge and space to establish and grow small businesses and commercial projects. Current workshops and programs are a part of the lead up to Artscape Launchpad’s anticipated opening date in 2017. Important Payment Note: Completing your payment over PayPal doesn’t mean you’re registered – there’s one more step! You must ‘right click’ and navigate back to the summary page – you will then see the money in your wallet – click ‘continue’ and you’re registered! Email ginger@torontoartscape.on.ca if you are having difficulties. Can’t make it? Sign up for more information about Artscape Launchpad workshops and programs.